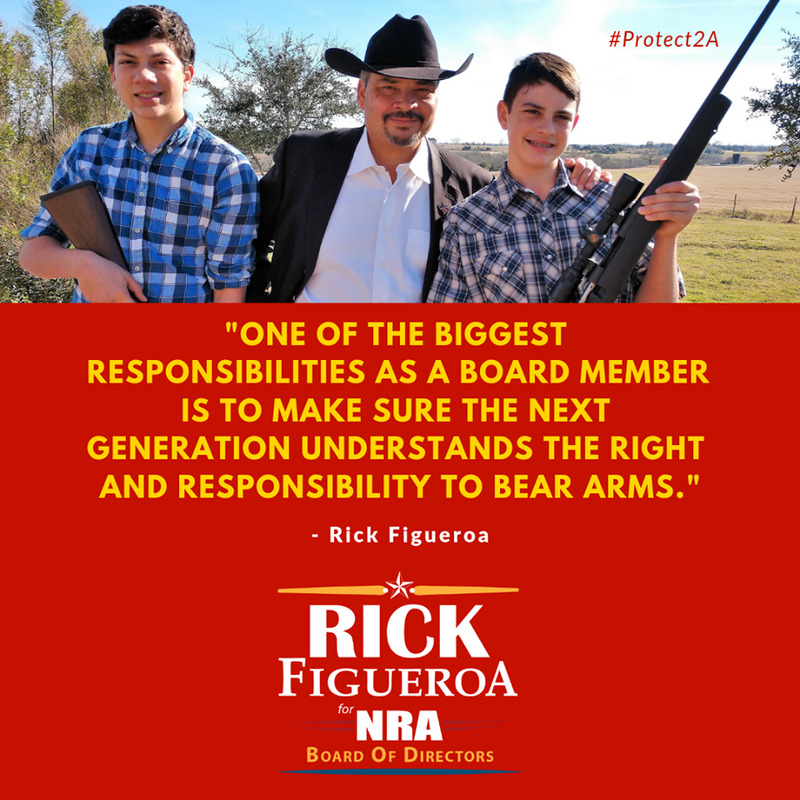 Rick Figueroa is known in political and business circles across America. He has always been on the forefront, helping those fighting for liberty and their constitutional rights. His current involvement with NRA’s outreach includes working with minority communities, which opened the door for his candidacy. He recognized early that the NRA needed more inclusion. The NRA membership is a voice heard at the highest level of government and is comprised of 75 board members, with 25 rotating off the board each year. Mr. Figueroa is being considered along with 35 other candidates. Figueroa’s campaign is being implemented by Charlie Alpha Consulting based in League City, with a focus on grassroots support, key endorsements, and social media. Who can vote? NRA life-time members and 5-year-plus members (some restrictions may apply). Visit or call the NRA at 1.800.672.3888. Other requirements, be at least 18 years of age, a U.S. Citizen and active member for at least 50 days prior to voting. When? Now, by mail-in through April 7 or at NRA Convention (www.NRAam.org) to be held in Indianapolis, IN, April 26-28, 2019 (All qualified members can vote at the convention if attending). How? Via the ballot in American Rifleman Magazine and other NRA magazines, ballots must be submitted to NRA Headquarters by April 7, 2019. 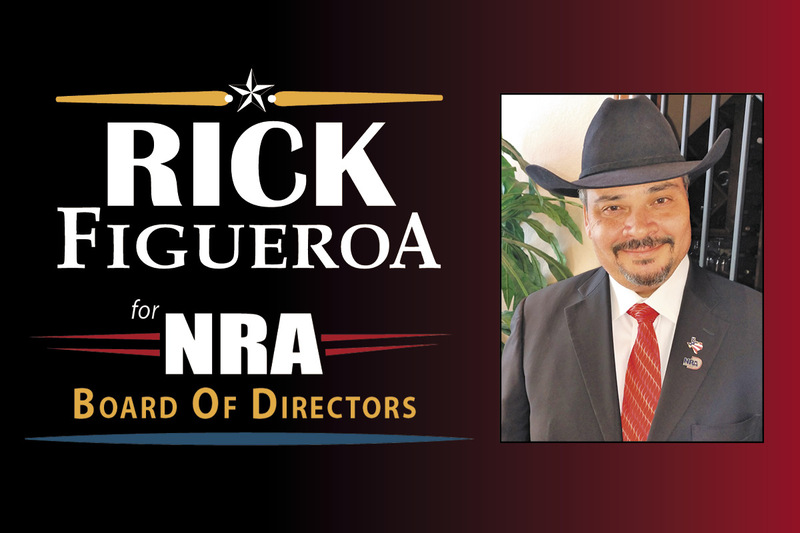 If not an NRA Member, please consider becoming a Life-Member and voting after 50 days to meet deadlines or voting for Rick Figueroa at the convention. You may also endorse him or tell friend who is a voting member.